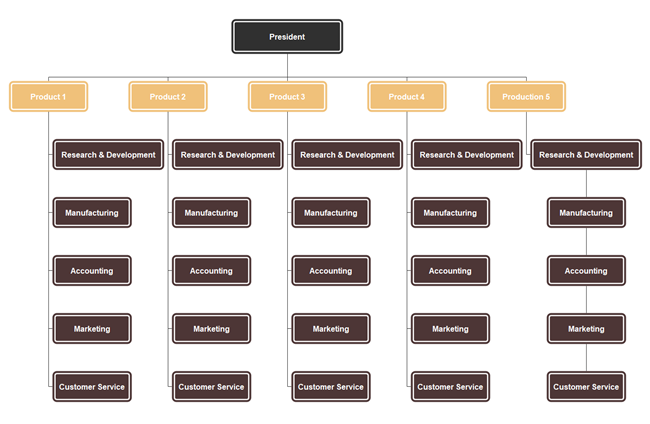 Description: A divisional organizational chart reflects a company organized along a product line or specific geography. For instance, in a large manufacturing company, the divisions may stand for different production lines. Each production line has its own subordinate functional departments, such as accounting and customer service.